Long life. A specially designed PTC heating element (positive temperature co-efficient) is made from ceramic stone for long life and quick and even heating. Cleaner environment. ActiveStar Technology sends "scrubbers" to remove contaminants from surfaces. Safe. 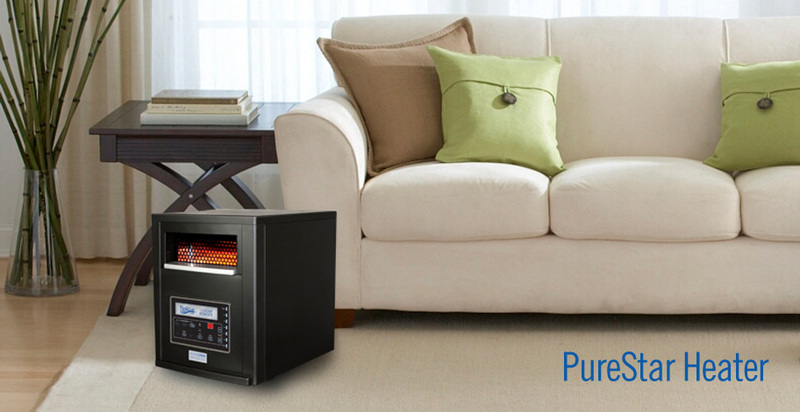 Tip-over safety feature automatically turns off the PureStar Heater if it is knocked over. Automatic sensors. 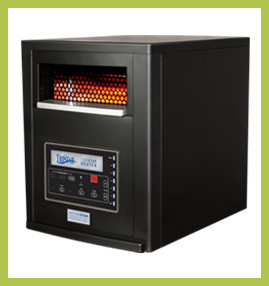 If the internal components reach a high temperature, the heater will automatically shut off. Does not effect humidity. Does not emit odors or fumes and does not effect the humidity level of the room. Quiet operation. Runs quieter than standard portable heaters and with an output rated at up to 5100 BTU, it heats evenly with a comfortable, balanced heat. Durable. Includes an easy to use and clean, washable filter and the internal 2 speed fan is made of metal components for long life. Easy operation. Features 4 wheels for mobility, includes a remote control and has LED grill lighting for ambience. Temperature controls. Multiple heat settings allow you to customize the output to your needs. Efficient. PTC heating elements can operate at full efficiency for up to 80,000 hours with no reduction in heat output over its life and a copper-lined heat exchanger evenly distributes the warm air.